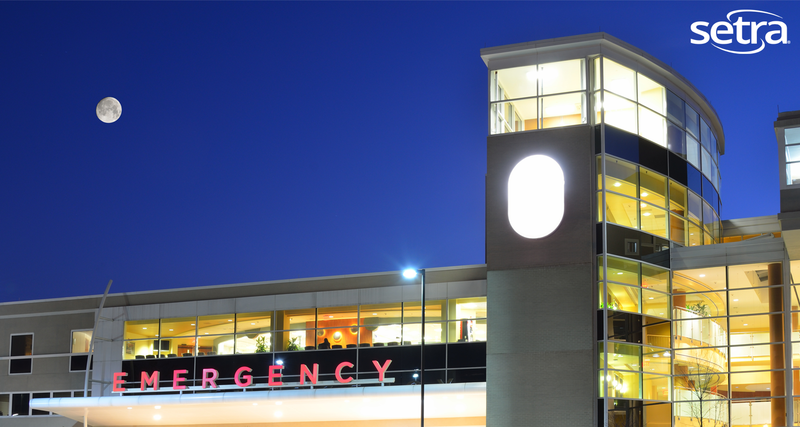 How can hospitals reduce energy costs? Like most businesses, hospital administrations constantly look for ways to improve their bottom line. One of the most effective ways a hospital facility manager can help is by lowering building operating costs and running their building more efficiently. But because healthcare facilities are extremely sophisticated and specialized buildings, this task is often easier said than done. It’s important to note that the way hospitals, like most large facilities, are billed for the consumption of electricity. Within many areas of the U.S., power consumption by large buildings is billed not only by total consumption, but also by spikes in demand. Peak demand is the largest instance of power usage in a given time frame (typically a rolling fifteen-minute window) and is the figure at which the power company can bill you for the entirety of the billing cycle or the rest of the year. This reason alone is enough for healthcare engineers to start looking at ways they can monitor consumption. But where to start? 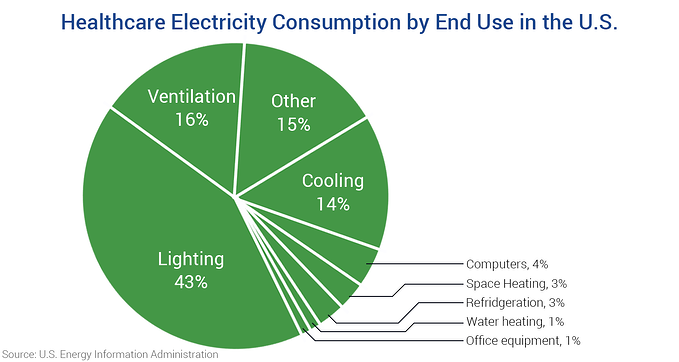 According to the U.S. Energy Information Administration, the three largest sources of energy consumption in a hospital are lighting, cooling, and ventilation – making up a combined 72% of total end use consumption. While replacing existing lighting fixtures with more efficient LED solutions is a great start, turning fixtures off when they’re not needed takes this conservation effort even further. Automatic occupancy sensors, dimmers, and timers are just a few of the many components of a lighting control system that can help conserve energy used by lighting fixtures. However, it’s important to remember that hospitals are billed by peak demand. A facility engineer would not want to turn on all the lights at once because the spike in usage will likely cause a much higher electric bill. Many facility managers use a tactic called load shedding to avoid a surge in power usage by staggering and offsetting the turning-on of lighting fixtures and other high-consumption equipment. Many healthcare facilities use a building automation system (BAS) to not only control the lights, but to also monitor general electricity usage in specific areas by all types of equipment. By using networked power meters in multiple parts of the property, a facility manager can identify which departments and which individual pieces of equipment are using the most energy and can implement corrective action accordingly. SETRA BLOG: What is submetering? 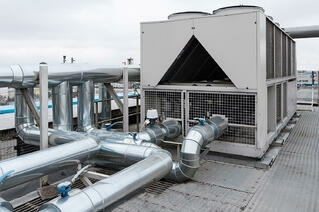 One of the most energy-hungry pieces of equipment in any building are HVAC chillers. As illustrated in the graph above, cooling a hospital represents 14% of its total electricity use. Because most chillers have a range where they are most efficient (between 30-50% the loading mark), managers can afford to sequence multiple chillers on and off to maximize efficiency. Dirty filters can often cause fans to work harder than what is necessary. A differential pressure transducer can help indicate when a filter needs to be replaced by measuring air pressure on either side of it. If the air pressure on the exhaust side is significantly lower than it is on the source side, the filter is dirty and must be replaced. However, the environmental conditions of critical spaces in a hospital are very tightly regulated. 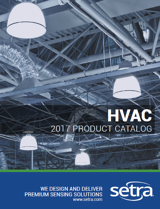 ASHRAE Standard 170 dictates the appropriate number of air changes per hour (ACH), temperature & humidity ranges, and the degree of pressurization for operating rooms, patient isolation rooms, and many other sensitive areas of concern. There is very little room for error or deviation from these parameters. Operating rooms, for instance, use only a small percentage of re-circulated air from the rest of the building and must draw fresh air from outside. This air must then be either heated or chilled and circulated at a rate of 20 ACH while a procedure is taking place. Though, when a procedure is not being performed, circulation can be reduced to 6-8 ACH by implementing a setback. 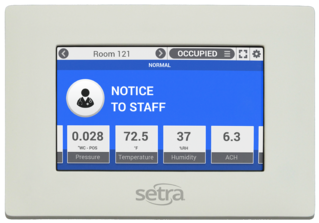 Setbacks can be initiated through an environmental room monitor/controller and reduce the work performed by the room’s dedicated air-handling units, heaters, and chillers – greatly reducing consumption when the room is unoccupied. If the system is properly optimized, an operating room may be quickly switched back to the proper specifications in case of an emergency procedure. Use load shedding on lighting system and other equipment to avoid creating peaks in demand. Turn lights off using automated sensors or a building automation system. Submeter throughout the property to monitor power usage. Setback critical spaces when not in use. Want to learn more about how power meters can help your facility conserve energy and save money? Download our Energy Management brochure today. Is your healthcare facility ready for its next regulatory inspection? Watch this video to find out.